In the Create editor you can add filters to your videos or image clips to change the colour and contrast, to make them black and white, or to add noise or blur. 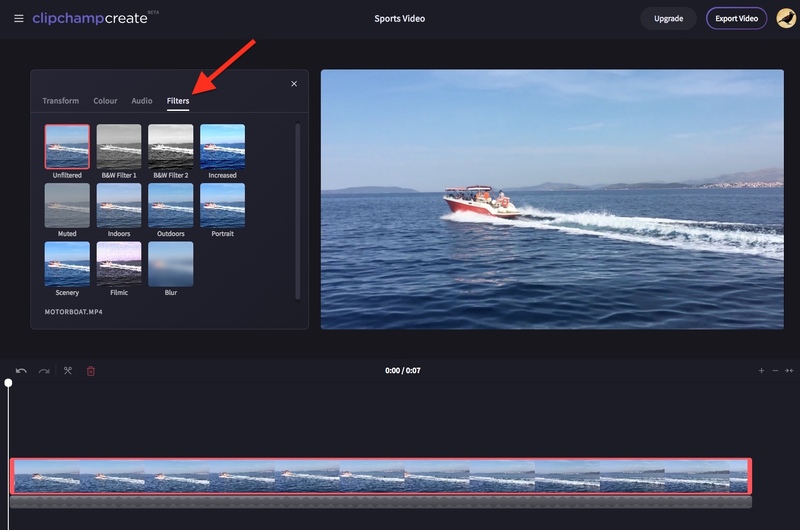 Simply click on the clip in the timeline so that an editing menu appears, then click the Filters tab in this menu and choose a filter. See below for a step by step guide with images. 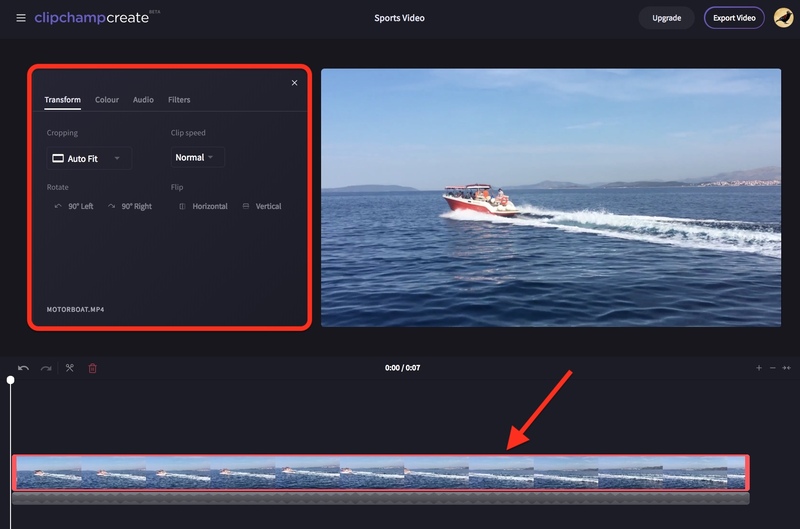 If it's not already there, drag and drop the video or image from the media library into the timeline at the bottom of your project. Depending on your screen size, you may need to use the scroller on the right side of the menu to scroll down and see all the filter options. To apply a filter, click on the thumbnail. You can now playback the video to see what it looks like with the filter applied. 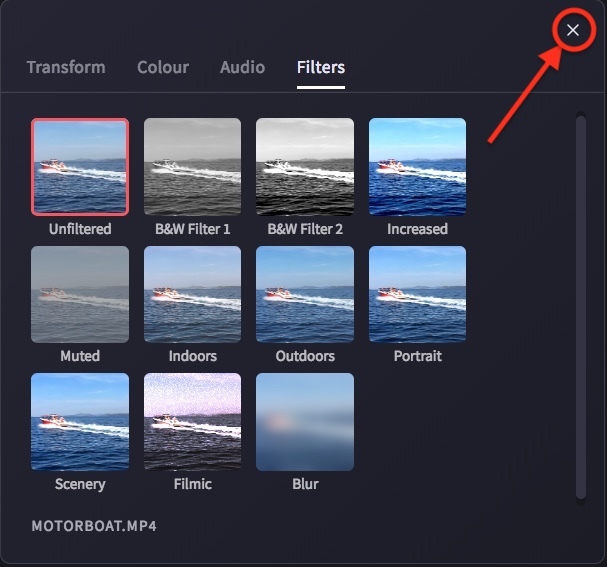 Once you are finished, simply close the Filter menu by clicking the X in the top right of the menu. You can return the video to its original state at any time by clicking on the clip in the timeline, opening the Filter menu, and clicking the top left 'Unfiltered' option. Alternatively, drag and drop the original video into your timeline again from your media library. 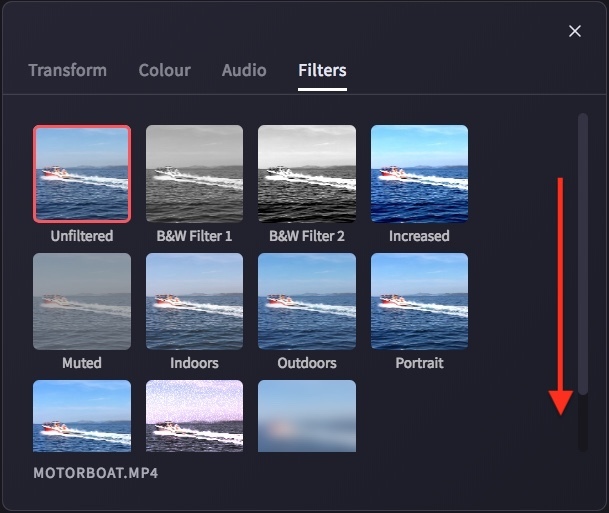 If you would like to custom adjust the exposure, contrast, saturation or temperature of the video or image yourself, you can use the sliders in the Colour tab. 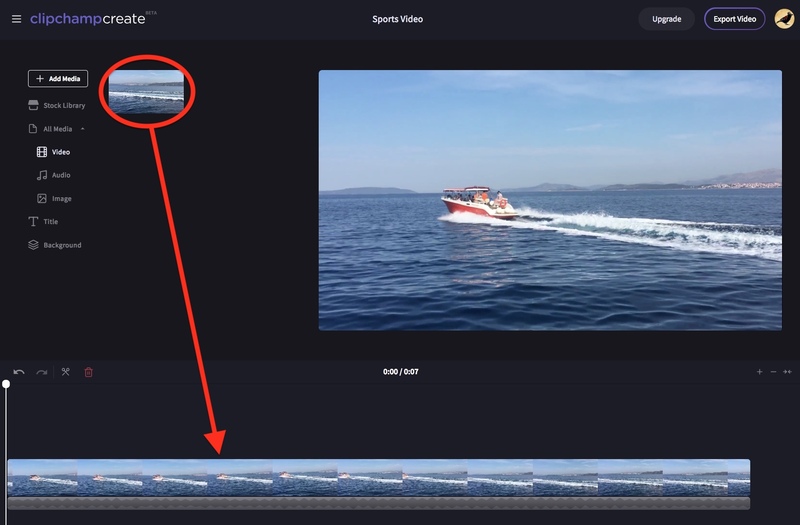 For tips on how to do this, see: changing the colour of a video.